Here’s a passionate and well-reasoned call to action by one of my favorite philosophers in the public square, Massimo Pigliucci. I’ve been giving a lot of thought about the rise of Trump, and even though I rarely write about explicitly political matters on this blog, this will be one of the exceptions. I think it is necessary. WARNING: unusually strong language ahead, either deal with it or go somewhere else for the day, we’ll be back to normal programming later in the week. Douglas is a fiery orator, an uncompromising abolitionist and proponent of universal human rights, and even an advocate of using violence if the cause is just, the harms too great, and other means prove ineffective (more on that in an upcoming piece). He criticizes those who ‘shamefully abandon their principles’. And very often, when he encounters discrimination in a hotel, restaurant, or other public place, he reports the incident to the local press. Yet for all his energetic activism, uncompromising rhetoric, and devotion to principle, Douglass is also a pragmatist, in matters large and small. To be sure, many of his activist tactics are as idealistic, and plainly appear so, as they are as practical. 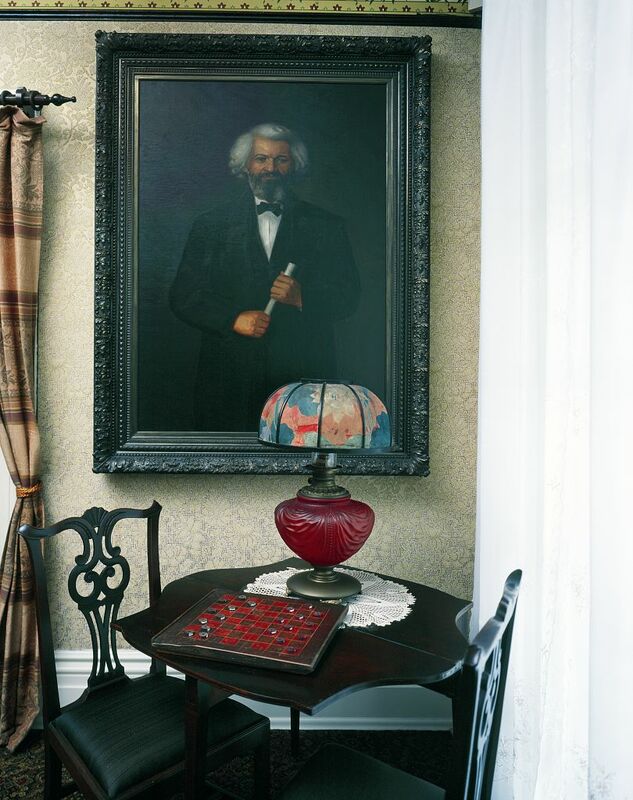 Douglass’ reports of discrimination, for example, fire up public support for the cause of equal rights by arousing a storm of protest and in turn, raising consciousness and providing examples for use in the political arena. He’s a pragmatist when it comes to making a living as well: after a decades-long successful career lecturing and publishing, a house fire and an attempt to rescue the Freedman’s Bank from collapse leave Douglass’ finances in disarray. So he takes to the lecture circuit again full time in the 1870’s. In the pre-Civil War era, he makes his living doing what he believes in most: lecturing, debating, and arguing for abolishing slavery and expanding human rights. But in the post-Civil War era, he finds that morals, politics, and rights issues are no longer such profitable topics. So he goes ahead and lectures on the profitable ones, so long as it he can make the talks instructive and wholesome, and link them to more important issues. ‘People want to be amused as well as instructed’ he writes. He’s a pragmatist when it comes to tactics and the importance of crafting an image. For example, Douglass considers photography a very important, modern tool for engendering mass support through empathy: if people can see and recognize the face of the person behind the ideas, and of one who is a member of a suffering and oppressed people, people will feel the visceral need for change. So, he takes care to become one of the most photographed men in American history. Douglass’ practicality holds sway in larger issues too. He does not hesitate to change tactics or switch allegiances between organizations or parties if he thinks it would help the cause in the long run. In fact, he is convinced that true, unswerving, uncompromising allegiance to the cause itself requires a reformer to use whatever means necessary, so long as they are not morally wrong, even if they are imperfect or less inspiring or exciting to others than the more uncompromising choice. He has been criticized throughout the years for splitting with the Garrisonians, for siding with Captain John Fremont against Abraham Lincoln in the latter’s recall of Fremont’s emancipation proclamation in Missouri early in the war, for refusing to support or join in on the raid on Harper’s Ferry (though he supports John Brown’s ideas about the validity of armed resistance in general), for evading arrest and possible execution for charges of co-conspiracy in the Harper’s Ferry raid by fleeing to Canada, and for abandoning the Radical Abolitionist Party in favor of the newly formed Republican Party. His critics contend that his practice of often siding with moderate tactics and candidates reveal a lack of commitment and moral courage. Yet he defends all of these practical choices on the grounds that commitment to the tactics or politics in and of themselves are actually a distraction, since the practice of committing to the ‘pure’ choice in the short run is often an impediment to achieving the ultimate goal in the long run. For example, if he throws his support behind his friend and hero Gerit Smith, uncompromising political candidate of the Radical Abolitionist Party, instead of Abraham Lincoln, the Republican candidate who ran on the more moderate goal of preventing the spread of slavery to the new states, he might be more admired as an uncompromising leader. But he understands what a risky move this would be. The Radical Abolitionists had little chance of winning, but the Republican Party was off to a very successful start, losing its first presidential campaign by a relatively small margin. Since the moderate goals of the Republican Party had a good chance of realization while those of the Radical Abolitionists little to none, Douglass sides with the former. The stakes are simply too high for Douglass to risk losing at this point, even if the risk appears nobler. In sum, Douglass argues that the truly committed reformer is free to choose the more modest, practical, sure-bet option over the less apparently compromising, more radical option when it appears to be more effective in the long run. That’s because true faithfulness to the mission does not require appearing an effective reformer, it requires actually being as effective as possible. No small part of Douglass’ greatness as an activist and as a person is his willingness to forgo short-term public approval or personal glory in favor of acting in the long-term best interests of his cause. And it appears that history not only validates him as an astute tactician, but as a heroic figure, in part because in hindsight we can more easily recognize the wisdom, integrity, and strength in his pragmatism. 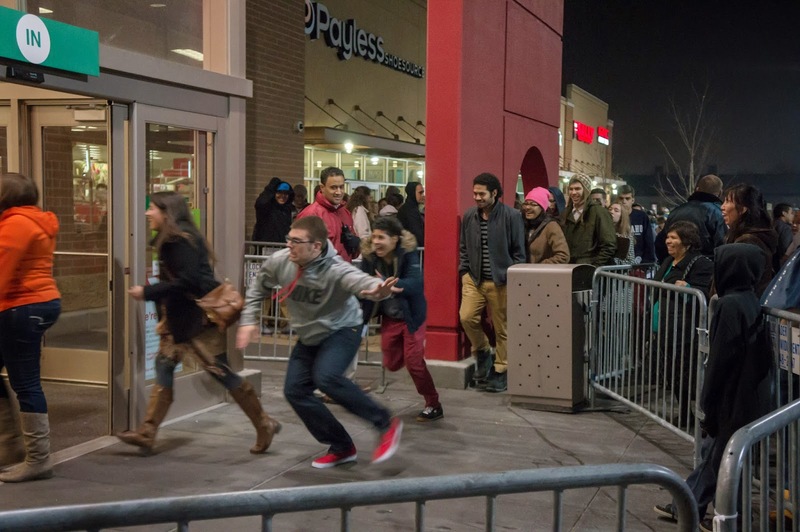 Activism is Not Enough: As Long As We Keep Shopping and Don’t Vote, It’s Our Fault Too! I live in the San Francisco Bay Area, a wonderful place to live. It has a rich culture and a thriving music and arts scene and nightlife. It’s surrounded by great natural beauty in all directions: from oak forests to redwood groves, from chaparral to sandy beaches and sea cliffs. It has a fascinating history, plentiful and delicious food, beautiful architecture, and balmy weather. It’s also a liberal ‘bubble’, with an appetite for activism and, for better and for worse, a penchant for righteous outrage. I admire and identify with the history and the culture of activism. Like the reformers of history and of today, the brave people who fight to create a more just world are among the finest the human race has ever produced. But I’ve been feeling something a bit lacking in activist movements lately. They still march in the streets, and we join them there and online by signing petitions for reform, posting blog pieces, and sharing videos bursting with righteous indignation. It’s exciting, it’s attention-getting, it makes the news. 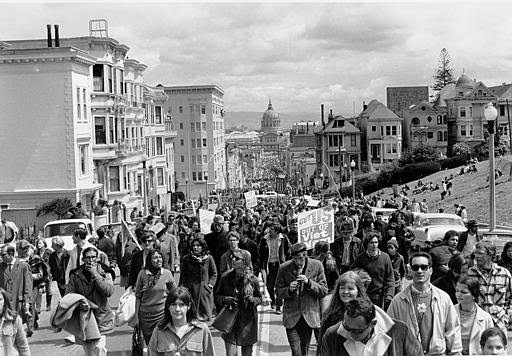 Historically, take-it-to-the-streets activism has been key in achieving the most important reforms (and breaking away to form our own nation in the first place!). The Occupy Movement, for one, was inspiring, and exciting, and it appeared that we were finally witnessing a harbinger of real change. How can we be the problem while we’re working and calling for reform? Because we keep supporting bad business through what we choose to buy, and we’re not reforming government by showing up at the polls. It’s like protesting an assassination after we pitched in to pay the hit man and did nothing to stop him as he stole the getaway car. For example, we’ve long known that many of our smartphones, tablets, and other gadgets are made in factories where people work terribly long hours for little pay, in conditions we’d never put up with ourselves. 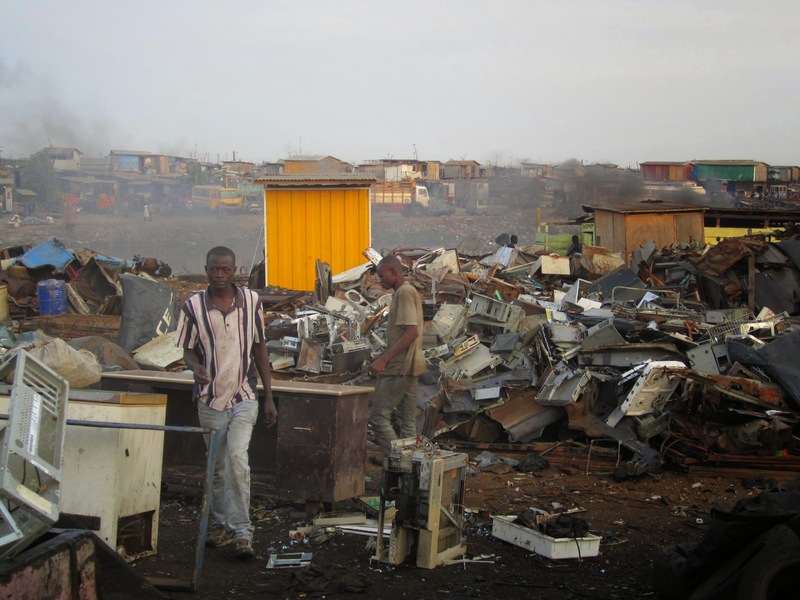 And we know that many or even most of our discarded electronics end up in some country, state, or town unprotected by regulations, or whose ‘recycling’ systems are really not effective in keeping up with the deluge, at keeping toxic heavy metals and chemicals out of the water supply, the ground, and the air. So we’ve signed online petitions and shared testimonies of abused workers on YouTube and Facebook. Yet we buy every new gadget as fast as they come along, throwing away our ‘old’ ones (cracked screen? doesn’t have the new games on it? too thick now since the new ones are 1/4″ thinner?) and buying a new one whether we ‘need’ it or not. When we purchase these things, we fund all operations of the companies that make them, and we send them the signal that we’ll buy them no matter how much their products pollute and how they treat their workers. We also know, from the wealth of scientific information gathered and presented by the Intergovernmental Panel on Climate Change (IPCC) and our own National Climate Assessment, that we’re polluting our air to levels that present great threats to the health and future food security of ourselves and our progeny. We’ve also seen how air and other pollution causes respiratory ailments and even death in humans and animals, from pre-1970’s, pre-Clean Air Act Los Angeles, California, to Beijing, China of today. So again, we sign online petitions and share videos and speeches, and call on regulators to crack down on corporate polluters, on factories (industrial and farming), auto manufacturers, and the trucking industry. Yet it’s the commuter cars we drive and the emanations from animals we eat every day that pollute the most. We drive everywhere we want to go whether or not we need our car to get there, and gobble up more meat than is healthy for us and for the planet, all the while insisting that gas and meat stay cheap. And so on, and so on, and so on. We want one thing, but do another. We say we want the world to be one way, but our actions help guarantee it won’t come to pass. It’s a hard pill to swallow, but here it is: we can’t justifiably blame corporations and the government for institutionalized racism, radical income inequality, pollution, climate change, poor wages and working conditions, poverty, and other social ills while at the same time we’re funding their operations, and are too politically apathetic to send more than a symbolic message by voting in the change we want. We are a market-driven society, for better or for worse, and the market will always deliver what we want to buy, eventually. If we keep buying it, it will keep being made, whatever the good it does, or the harm. If we want things that cause harm, they will be made, ever more so as we keep buying them. And if we shop around for the lowest price, down prices will go, whether by benign means (improved technology) or not (driving down wages). Capitalism brings us wonderful things: safer and better machines for all kinds of purposes, warm comfortable clothing and plentiful food, information-sharing devices to educate and entertain, and best of all, technology that can better our lives while reducing waste. But it brings awful things as well: the supply and demand for plastic bottles and convenient packaging is trashing rivers and seas and killing fish; electronics, designed to quickly become obsolete and full of heavy metals, turns into masses of polluting trash our limited recycling systems can’t keep up with; plentiful, cheap meat pollutes the air and water and encourages animal cruelty; cheap fuel drives climates change and wars; cheap goods of all kinds drive down wages, degrades working conditions, and lead to overconsumption and massive waste. We know this, yet keep the demand going by gobbling it all up as quickly as they supply it. Secondly, we are allowing the few, most moneyed interests to take over our government with scarcely a murmur. The ballot box, historically the most powerful tool for voicing our collective will, is being abandoned. We are voting in fewer and fewer numbers every year, with depressing results. I understand the Russell Brand type of argument, to ‘drop out’ of politics as an act of protest against systemic government corruption. But I don’t agree with his conclusion. It may be the case, as he points out and as we discover anew every voting season, that many or all of the candidates aren’t terribly inspiring. We may find that many of the initiatives won’t seem to do all the good we’d wish. 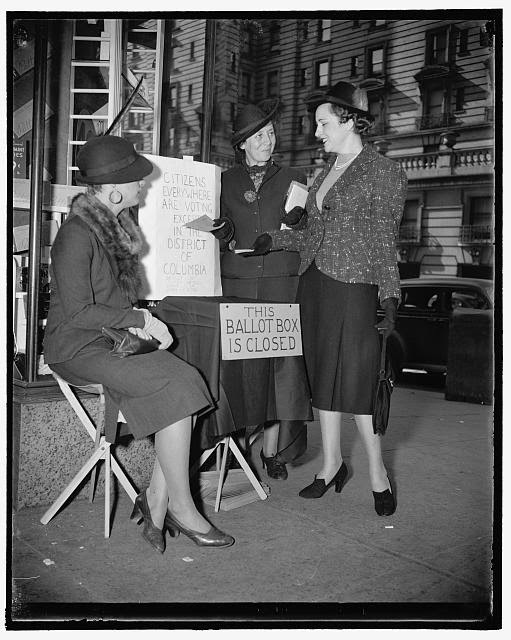 But consider these facts: historically, the reforms sought by the great activist movements mostly became law because they continued their march right to the polls, and either voted in those laws themselves through referendums, and the rest were achieved indirectly, by voting better leaders into office. And think of what happens when we don’t vote. As someone who considers myself politically progressive, I’ve been dismayed as here in California, such laws as Prop 8 passed, banning gay marriage, because more people opposed to this unjust law (later overturned by the courts as unconstitutional) didn’t bother to get to the polls; ideologues, lavishly funded by a few interest groups, voted in droves while believers in liberal and progressive values (including many who held protest signs, I’ll bet) stayed home. For the same reason, capital punishment is still legal in California and marijuana use (other than medical) is not. I was also dismayed by the most recent general election, in which candidates that are aggressively status-quo and anti-reform were elected to office in droves. Why? Again: those who poll in favor of reform did not show up at the polls. It’s true that too many candidates are overly motivated to please the interest groups that fund them, and don’t pay enough attention to the rights and the will of the average citizen. But that’s not just because of the money (initially provided by us, by the way, via the market): these candidates have been made well aware that we’ve grown a little too comfortable to make the effort to vote them out. So they make speeches to please us, and then we pass them around online and think we’ve done our duty. On election day, we stay home, and the next day, it’s business as usual. In sum: so long as we put our own ease, comfort, and desire for luxuries ahead of our principles, we are stuck with the world that results. If our political system continues to grow ever more corrupt and our laws fail to protect the vulnerable, the poor, the immigrant, the disenfranchised, and the environment, yet we don’t vote the bad politicians out and the good laws in, we are to blame too. If corporations and other businesses make harmful products, endanger and underpay their workers, funnel all profits to a few at the top, and pollute, deforest, drive species to extinction, and hasten global warming, yet we keep buying their products, it’s our fault too. If police precincts become ever more militarized and continue to employ overly violent and coercive tactics on the streets and in the interrogation rooms, and we don’t vote them or those that appoint them, out of office, then we’re giving our tacit consent. If our political leaders, prosecutors, and judges continue to make, enforce, and uphold laws that are contrary to our constitutional rights, our best interests, and scientific evidence, and we keep putting them in office (or do nothing while special interest groups put them in office), then we aid and abet them with our neglect. So what do we do about it? Do we all become ascetics, deny ourselves all pleasures that might conceivably cause harm, subsist in ‘hobbit homes’? Do we obsess over politics, wring our hands in despair daily or cast them in air as we give up in hopelessness? This doesn’t seem tenable: we want an easy, pleasant life filled with hope, comfort and plenty for ourselves, our loved ones, our children, for everyone. Yet if we want our progeny and the rich, vibrant, diverse world of living things to survive and flourish, we need to change our habits. Our main stumbling block is this fact about human psychology: it’s extremely difficult for us to act idealistically when the long-term ramifications of our actions are not emotionally, immediately apparent at the time. But be it easy or be it hard, we need adopt new and better practices, or the world we love will suffer from our neglect. I’m as stuck in bad habits as much as anyone else, so I’m not playing a blame game here. When it comes to consumer waste: I’m lucky in that I worked in a salvage and recycling operation for some years, and that experience turned me off from enjoying shopping for cheap gadgets, and made me more frugal and more likely to preserve the tools I have for as long as I can repair them and make them work. (There’s nothing like working in a resale warehouse, or salvaging quality reusable goods from a mound of broken cheap crap and trash at the dump, to change one’s perspective on material goods. Now, in the rare occasions I go to Target or a department store, I perceive mostly a mound of thinly disguised future garbage.) But I continue to buy too many things with unnecessary packaging, I still drive my car more often than I really need to, and I buy and eat too much factory-farmed meat. When it comes to politics and law enforcement: I usually don’t do nearly enough homework on the issues or on candidates before I vote, and I miss valuable opportunities to make a difference by engaging in local politics, where individuals can have the most influence. Let’s make a pact to honor our activists, and to join their ranks as true ones, by living out our desired reforms. Let’s stop buying water and drinks in plastic bottles and packaged goods so long as there’s an alternative; if enough people do this, companies will pay heed and provide their goods through better delivery methods. Let’s stop buying so much stuff, period, and divert our money to businesses and institutions that deliver quality goods that last and public goods that all can enjoy. (Less malls and big box and discount retailers, more small businesses, quality goods made to last, public works, humanitarian projects, and museums.) Let’s stop glorifying wealth and the trappings of wealth more than its due. Let’s vote in every election, for candidates and referendums that best represent our values: if we demonstrate that we will only vote for those that deliver on their promises for reform and will vote them out if they fail, the political arena of competition will shift as it favors less corruption. Let’s put the act back in activism. Handley, Andrew. ‘10 Ways Recycling Hurts the Environment‘. Jan 27th, 2013. Listverse.com.